This is an excellent professional treatment to do at home. 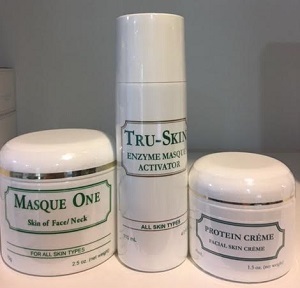 Watch the video on the Masque One, mixed with Tru Skin. Then rinse and follow with the Protein Cream. Amazing firming, toning, lightening results. This is a Spa Treatment.